Most of those who experience an injury at work and who have a preexisting condition have trouble receiving workers compensation benefits. When the injured worker applies to the workers compensation carrier, the claim is swiftly denied. This can happen when a preexisting condition to the same body part exists as the result of any type of prior accident. Maybe it was a prior work related injury, or possibly an injury from an earlier auto accident or slip and fall at the workers home. For the injured worker with a preexisting condition, it is absolutely vital to seek a fair medical evaluation so that a respected medical professional can determine the relative apportionment of the injuries. Even if the injury was 99% preexisting and 1% due to the present work related injury, the workers compensation insurance carrier is required to provide all medical treatment necessary to cure and relieve that condition, regardless of whether there was preexisting injury. This is the rule in California workers compensation law: medical treatment and care is not able to be apportioned among injuries. Therefore, any accident at work that makes a preexisting condition worse will entitle the injured worker to full medical treatment for that condition despite the preexisting problem. Workers compensation insurance companies usually deny claims where preexisting injuries exist. When these claims are not denied, the insurance company will assert that the injury was largely due to the preexisting condition and tell the injured worker that the claim is worth very little. Other times, the insurance company doctor will quickly apportion the entire injury to the preexisting condition on the first doctors visit to the the industrial clinic even where a fair medical evaluation would find some apportionment to the current work related injury. It is important that the injured worker not be fooled and short changed on their benefits by this type of behavior by the insurance carrier. Instead, the injured worker should seek the advice of a workers compensation lawyer. California Workers Compensation Claims Apportionment Issues – Chino Attorney Advice from Alexander Napolin. Get the advice you need to know your rights and how to recover for your legitimate work related injury, regardless of a preexisting condition to the same body part or parts. Attorney Alexander Napolin knows about these types of apportionment issues and how California workers compensation law applies to them. When you hire Napolin Law Firm, you will no longer be pushed around by an insurance agent who cares nothing about you or your injury. Instead, you will have a lawyer who will fight for all the workers compensation benefits to which you are entitled. If you have been injured at work, Attorney Alexander Napolin will speak with you for free about your case. 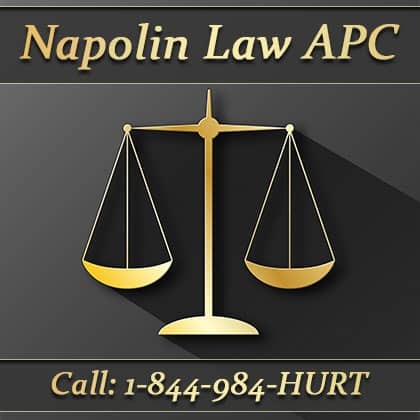 Call him at 909-325-6032 for your free consultation, or fill out a claim evaluation form at NapolinLaw.com and Attorney Alexander Napolin will call you within 24 hours to discuss your case for free. Remember, do not let the insurance agent tell you what you are entitled to or what you claim is worth. They do not care about you or your case. Retain an attorney who does. Call Napolin Law Firm today! Napolin Law Firm serves Southern California, including the Inland Empire, Orange County, Los Angeles County and Riverside County. Nearby cities serviced include Chino, Claremont, Upland, Ontario, Rancho Cucamonga, Azusa, Glendora, Pomona, Montclair, Fontana, Rialto, San Bernardino, Corona, Colton and Diamond Bar.